Font Awesome is exactly as advertised, it’s full of awesome. Fonts are much easier on bandwidth than images; while it only takes a few kbs to load text onto a webpage, it can’t take MBs to load an image. So some very smart people decided that since fonts are images with much less bandwidth consumption, why not take a page from the historically popular WingDing font that graces our desktops, and make some useful image-based fonts for website publishers to use. You’ll see quite a bit of Font Awesome font-icons scattered across Geek with Style. Starting with the menus above; beside each category you should see an icon representing the category featured, such as “Technology” having an image of a laptop right beside it. That’s a font awesome icon folks. Cool, eh? 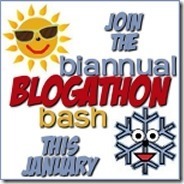 Let me also introduce you to the Winter 2015 Biannual Blogathon Bash (BBB.) This post is written, ’cause I want to share this little nugget of awesomeness with everyone, but it’s also written as part of a Mini Challenge for those participating in BBB. Want to use the next 72+ hours to improve your blog, but don’t know where to start? Join this lively bunch, and have fun with a multitude of Mini Challenges to get your upgrades on a roll. There are even prizes involved if you need an extra little push to level up! Use the instructions above to have Font Awesome’s icon library right at your blogging finger tips. Once that’s done, get a little creative and use one or more of the icons listed on the BIG page of icons to add a bit of flare to your blog post. Or if you want to get really creative, add some of these icons to your website’s header or sidebar in any way that you please. For proof, add a link to your blog post (or website if you choose to add icons elsewhere on your site,) in a comment below and if needed, describe exactly how/where you added your icon(s). And that’s it! Wishing you a FUN and SAFE blogathon! This is really neat for sure. I like how it just goes right into the blog post without to much of a distraction. Thank you for this challenge. I can’t seem to get it to work in Blogger. I keep getting an error message that I need to close the bracket. Any ideas if I should add in an end link and where? Or any other suggestions? Hope it works now for you! Wow, you have told me to use these icons in very creative way. Thanks ! Next time I will remember these creative ways to add these icons in my posts. I am already using them in my blog template although. Nice tut.